There’s a moment early on in this third episode of 11.22.63, Hulu’s adaptation of the Stephen King novel where Chris Cooper’s Al, via flashback, speaks quietly—and too briefly—about just what exactly the assassination of President Kennedy did to him, to his generation, to the nation as a whole. “It broke something in us,” he almost whispers, and there’s a faraway look in his eyes that says more than most actors could with a whole minutes-long monologue (a lot of that is to the eternal credit of Chris Cooper, of course, who continues to be wonderful in this show). But almost as quickly as it begins, the moment is gone, and we’re back in Dallas, where James Franco’s Jake and George MacKay’s Bill—Jake’s new partner in crime (or the prevention thereof)—are busy setting up surveillance of Lee Harvey Oswald’s new Texas apartment. It’s a letdown, and a jarring tonal shift, and I found myself wanting more moments like this one with Al, and only paying half attention to some of the plot details as the story moved along. 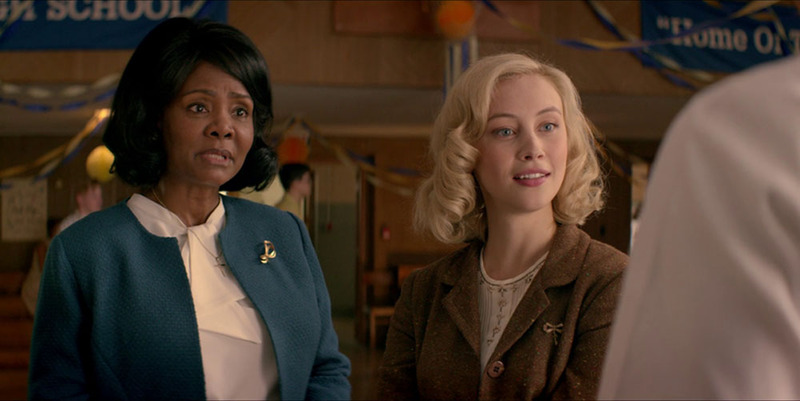 Don’t get me wrong—this was a necessary episode on the whole, especially after 11.22.63 spent a whole hour of its limited eight-episode run last week on what amounts, really, to a side plot. The showrunners needed this time to say, “Here, this is Dallas, where JFK will be shot, and here’s the guy who’s going to do it, and here’s the probably-illegal technology our protagonists are going to use to bug Oswald’s apartment and let us explain to you and show you how they’re going to do it….” But these sequences, which take up the majority of the episode, pale in comparison to the emotional weight of the other fleeting reminders of what life in circa 1963 was really like, and how we take for granted just how much progress our society has made. When Jake and Buddy Bill get to Dallas (a good two years before Kennedy’s assassination, so punctuality points for them), Jake gets a job as a substitute teacher and meets the principal’s assistant, an African-American lady named Ms. Mimi (Tonya Pinkins). His first day on the job, Jakes asks Ms. Mimi if he can pour her a cup of coffee. I’m sure it was all some sound tech could do to keep himself from inserting an actual record scratch effect, as the whole office freezes and just stares at Jake: the audacity of it! Offering to pour a cup of coffee for a black person! And later, when a gas station owner won’t let Ms. Mimi buy some fuel, Jake summons up some righteous indignation on her behalf, in a satisfying, if (unfortunately) rather unbelievable scene. It’s in these moments, the juxtaposition between the present day, about which we think we have so much to complain, and an America of only fifty years ago, when, for so many of us, things really were that bad, that the show really shines, and while I suppose it’s no great criticism to say 11.22.63 doesn’t quite know how to balance that exploration with the spy-story stuff of investigating Oswald, it’s disappointing, nonetheless. But again, we needed this episode, I guess. We needed to see Jake and Bill setting up their surveillance equipment in Oswald’s apartment, nearly getting caught in the act, and then escaping through the attic. We needed to see our protagonists attend a political rally while following Oswald, where their target goes on a tirade against the racist, ranting General Walker—a character we’re told was nearly assassinated with the same kind of gun that killed JFK, and so if it can be proven that Oswald tried to kill Walker, then that means…well, I’m really not sure (justification of why they’re investigating Oswald rather than just killing him and getting it over with is still the show’s weakest point). And an extra disappointment in this episode: the introduction of a love interest, Sadie, a new librarian at the school where Jake teaches. Sarah Gadon does just fine in the role, but it’s clear her character exists only for Jake to swoon over, and, looking at her IMDB entry, she’s in this for the long haul, so we know she’ll either A) be in serious mortal peril at some point, or, B) give Jake a crisis of conscious as to whether to go ahead with completing his plan, or give the whole thing up for love. It’s a shame, because it’s an obviously shoehorned subplot, and it drags the whole story down. But a bright spot character introduction to balance that disappointment is Lee Harvey Oswald himself, played with excellent nuance by Daniel Webber. When we first meet Oswald, he’s getting off a plane with his new fiancé and, upon greeting his mother in America after living abroad in Russia, asks her where all the reporters are: Don’t they want to meet an honest-to-goodness defector to Russia? From there, we see several different sides of Oswald, turning on and off like a switch. In one scene, he’s sharing a tender, loving moment with his wife—and an instant later is in a blind rage as he discovers someone has broken into his home, his face red and eyes crazed as he screams in Russian and English and chases them through the house. His biggest moment—and best for the character—comes at the episode’s end, at the previously mentioned political rally: Oswald’s promises to kill the General and his accusatory chastising of the man’s supporters are emotionally heavy, and a great way to end the episode—though the ending itself does seem rather abrupt, with Jake and Billy looking meaningfully at each other, both obviously thinking Wow, this guy sure is capable of assassinating a president, huh?, and then a sudden cut to black which I initially thought was just another sequence break. When the credits began to roll I was honestly surprised. It’s not quite on the level of the Sopranos final shot, but carries with it the same jarring, unnatural feel. All told, this is, again, a necessary episode, and does a good job of establishing all the hows of the investigation into Oswald. But it still feels like a letdown, overall, after the fast-paced and rather self-contained narrative of last week. 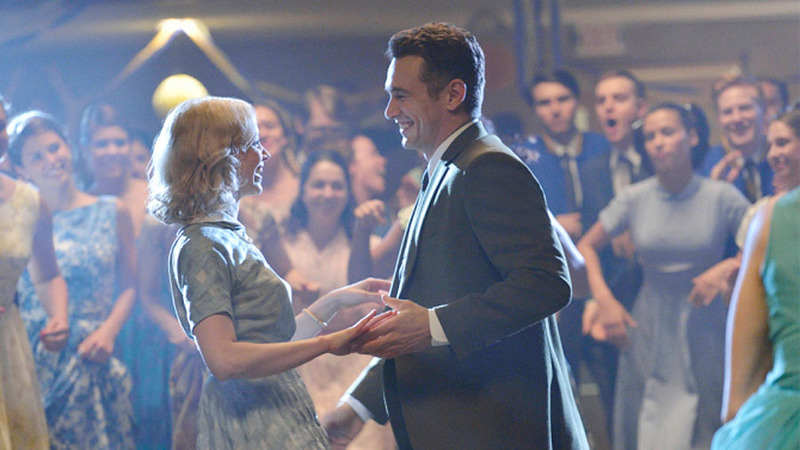 Hopefully, with the particulars of Oswald’s arrival in Dallas and his volatile temperament established, the next episode—and beyond—can get back to being more engaging. Joshua Mattern is a West Virginia native, but lives in Las Vegas. He loves horror movies, shows that try to be as good as The Wire, and playing with his cat, Grendel.